The IBU Executive Board agreed to stage an Extraordinary Congress next Autumn at a two-day meeting here. Reform efforts are underway as the IBU seek to move on from a tumultuous period, which led to a criminal investigation focused on doping, fraud and corruption being opened against former President Anders Besseberg and secretary general Nicole Resch. 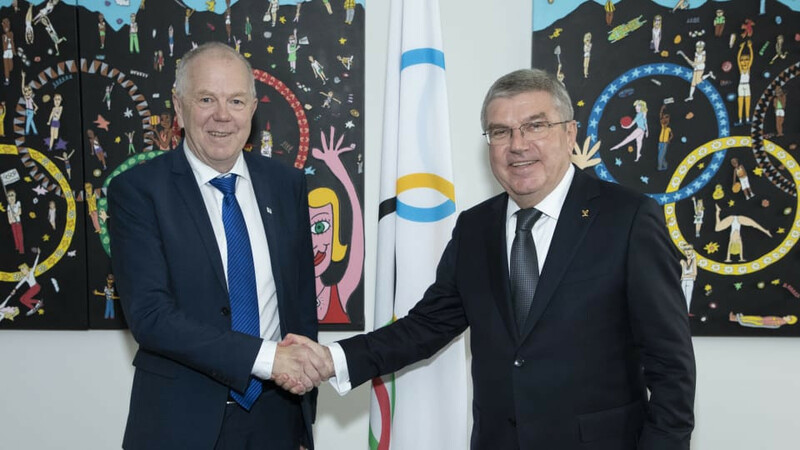 Direct financial payments from the International Olympic Committee (IOC) resumed last week after a meeting between their President Thomas Bach and IBU counterpart Olle Dahlin. Bach claimed the IOC had "received a strong undertaking from the IBU President to see these reforms through to full implementation", allowing the direct payments to be unfrozen. This followed progress updates from Dahlin on the measures taken since his election in September, including efforts to adopt a new IBU Code of Ethics, appointment of a new IBU Ethics Commission and an IBU ethics and compliance officer and the establishment of a whistleblower policy. An external audit of the IBU's anti-doping programme has also been carried out, which praised the world governing body for their anti-doping operation but urged the governing body to be more transparent in dealing with future cases. Drafting of a new constitution and strategic plan will take place over the coming months, with a view to the documents being approved at the Extraordinary Congress. "We will make a review of the IBU, which is about how the organisation fulfils its constitution and rules, as well as the WADA (World Anti-Doping Agency) Code," Dahlin told insidethegames. "Parallel to that, it will look at the old constitution and develop a new constitution. "At the end we will bring in external experts to ensure we have a state-of-the-art constitution. "We need the external experts who have experience in this. "We also have to develop a strategic plan for the future. "The idea is to make the strategic plan for two Olympic cycles. "We see three cornerstones at the moment – sport, events and the development of our National Federations. "We will invite all our stakeholders to work together with the board to make the plan." The IBU Executive Board set up an internal Governance Review Commission, following their Congress in September. They are set to revise the IBU Constitution and rules documents, before drafts are evaluated and reviewed by external experts. The Strategy Working Group provided a roadmap until the presentation of the future vision and strategic plan. Dahlin confirmed the organisation would visit Moscow later this month to present criteria which would need to be met to consider lifting the Russian Biathlon Union’s (RBU) provisional membership status. The RBU missed out on reinstatement at the IBU Congress in September, having needed a 50 per cent majority of the 51 votes but received only 20, with 29 voting against Russia and two abstaining. The decision meant Russia remains a non-voting member of the IBU but their athletes can still compete at major competitions, including the World Championships and World Cup events. 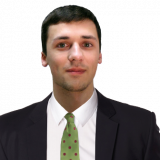 "The RBU is a provisional member and we now have criteria which could make them a full member," Dahlin said. "We will go to Moscow and present the criteria. "We go to Moscow as we have asked for a broad participation from the Russian side. "We have asked they bring people from the Russian Olympic Committee and the Russian Anti-Doping Agency." The IBU remain the only Winter International Federation to sanction an athlete - Ekaterina Glazyrina - based on evidence commissioned or obtained by he WADA, using Laboratory Information Management System (LIMS) database obtained from the Moscow Laboratory. A further four LIMS cases are ongoing, which are being handled by the IBU Anti-Doping division. Offers to fulfil the position of an IBU compliance officer were also considered by the IBU. All athletes participating in the 2019 IBU Youth and Junior World Championships will be required to show a completion certificate of the anti-doping e-learning platform course offered by WADA or a similar platform of national anti-doping agencies in order to register for the event. The convention is aimed to develop policies and showcase best practices to increase the influence of women in the sport, as well as drive progress towards gender equality and female leadership within the IBU and its National Federations. The IBU also confirmed they will look to increase its financial support to National Federations, while travel contributions will be raised by all three IBU event series.